Brewing Knowledge: Schools Can Launch Their Own Apps! Schools Can Launch Their Own Apps! I would like to share with you information about one of the best mobile app for Educational Institutes. Schools can now launch your own apps (both Android and iOS ) for as less as INR 2000/month or USD 35/month. So why wait? Lets go digital today! Let Parents download your mobile app from Google and Apple stores and you can start digital communication with them. There are very exciting features we offer in the app. Please see the attached presentation for details. If you know other schools that might be interested - please forward the email to them. Other schools are already launching their apps, don't be left behind. Call us today at +(91) 9673005022 or +(61) (2) 8006 0214. You can also Whatsapp us on +(91) 9673005022. Our friendly team will guide you towards launching your mobile app. 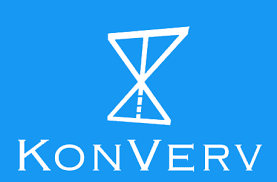 We at Konverv are also looking for channel partners - please feel free to refer any colleague or acquaintances interested.